Claim: A philosophy professor gives a final exam consisting entirely of a single word: "Why?" One student answers "Why not?" and receives an 'A'. In a different version of this legend one student receives a top grade for responding simply "Because." Another version involves a philosophy instructor who, for a final examination, places a chair at the front of the room and challenges the class to prove it exists. One student receives an 'A' for writing "What chair?" Another possible interpretation of this legend is as a wry commentary on the sciolism of academia. What is a more profound subject for the true scholar to contemplate, after all, than the basic question of meaning and existence? The student's flippant response (and his receiving a top mark for same) underscores the notion that a 'solid education' is sometimes an ornately decorated empty shell. This is seriously an entry that everyone has been waiting for. And for once, I actually get local blog readers who actually commented on my blog posts, asking me when is this blog entry going to come out?!! Generally I don't get comments even though I do hope I would get some *sound of my glass heart shattering* I sound so pathetic saying this.. Haha! Now.. onto the serious matter. I actually wrote this particular entry on my Dayre account, but I think that because Dayre is new, not much people uses it yet and hence this review aren't going out. Therefore, to show you guys how much I love you, I am going to re-write it again and post up even better and clearer pictures that I took with my newly-acquired DSLR yesterday just for you guys. I'm awesome huh? 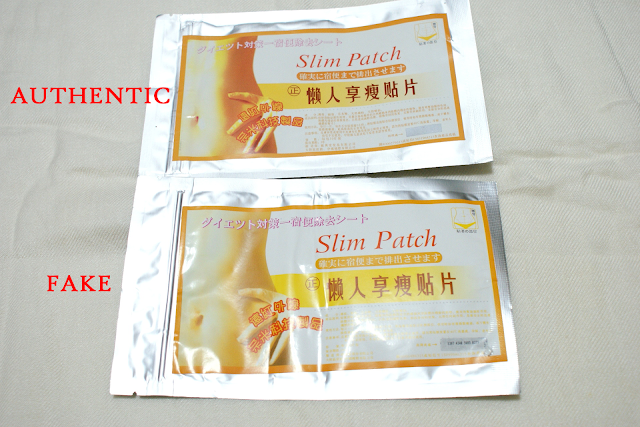 HOW DO YOU TELL THE DIFFERENCE BETWEEN... A REAL OR FAKE SLIMMING PATCH? Authenticity is what we all would wish to have. Especially when it comes to beauty products. And even more so when it comes to slimming products. The reason why anyone would even purchase topical (meaning: products that are applied directly onto the body) slimming products is because we simply do not wish to have to go through the invasive route of taking diet drugs or going for liposuction, so as to change our physique. Unfortunately for us, there are scoundrels out in this world who decided to manufacture FAKE slimming products and hence we, users, have to be the ones suffering from it. 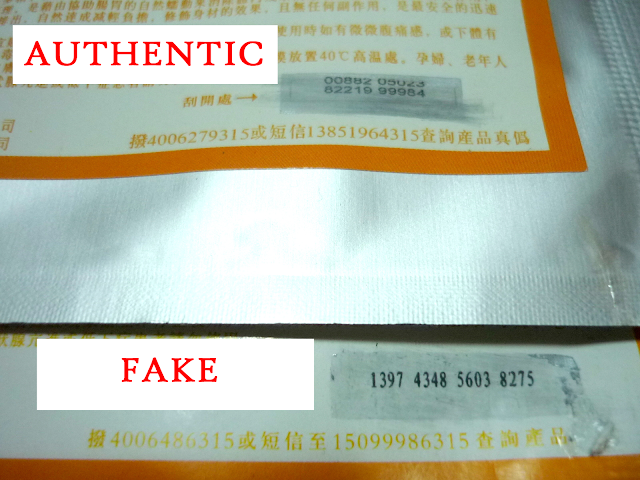 In this blog entry, I will be teaching you how to tell the difference between a REAL and a FAKE pack of 小S (Xiao S)'s slimming patches. See the difference between the colour? The real one is more orangey, whereas the fake one is more yellow! 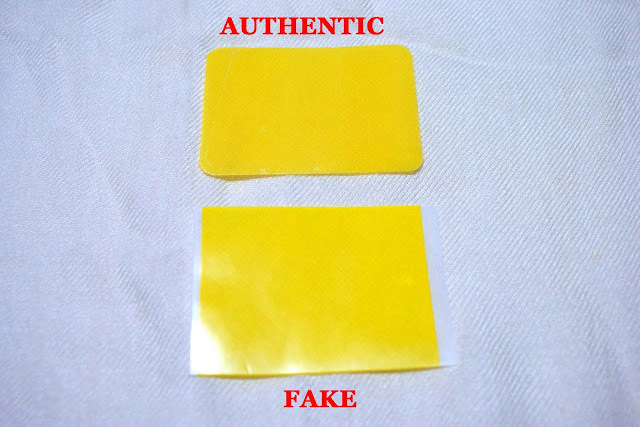 TIP #2: Check the authenticity code! I don't mean calling the Taiwan hotline to check the authenticity code provided (as if anyone will ever do that here in Singapore), but rather just look at the difference between the two packs! The 'real' pack has 2 lines of code, whereas the 'fake' one only has 1 line! TIP #3: Check the back sticker! The 'real' pack's sticker is red, whereas the 'fake' one is orange! This is a super obvious tell-tale sign! Now, you can ignore all the other tips that I mentioned previously but you've GOT TO know this! The REAL slimming patch has rounded corners whereas the FAKE slimming patch is rectangular, has sharp corners and has that extra white bit coming out from the sides! 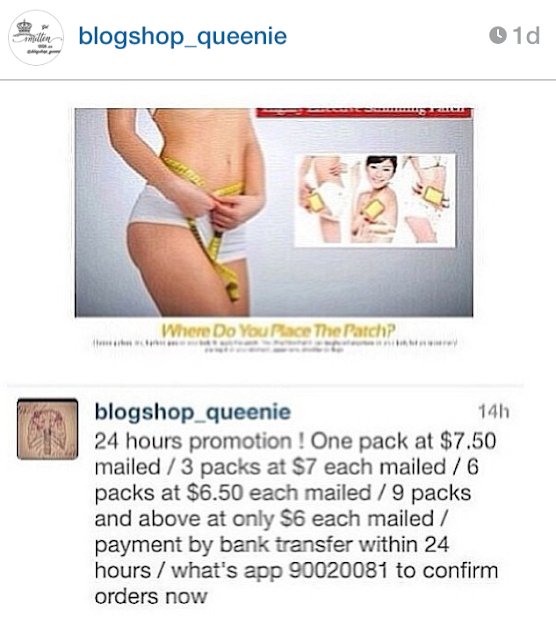 1) Have you tried the slimming patches before? Is there a difference in the effect? Yes I have, both the authentic and the fake one. And yes, there is a difference. Heat can be felt, emitting from the slimming patch onto the area of the skin where you have stuck the patch. For the fake one, you won't feel any heat at all. 2) Where did you get the fake slimming patches? From an instashop, whose username I will not reveal because they are no longer selling it after I pointed out to them that the goods they have are fake, and they took up responsibility for the fake products by giving me a 100% refund. 3) Where do you get your authentic slimming patches? 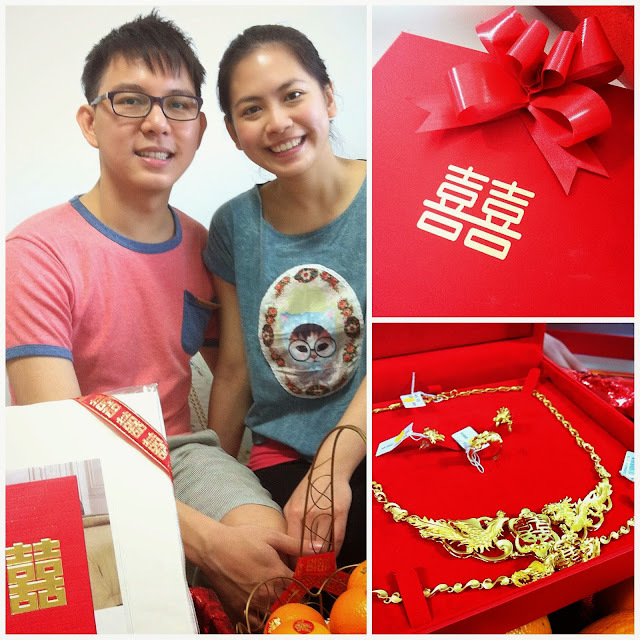 From my sponsor, blogshop_queenie. Details on how you can get them are provided in the picture below. Only available for residents of Singapore. 4) Does slimming patches work? Yes they do. The heat emitted by the slimming patch would burn off the fats (or at least that is how I feel it) and usually I stick it on my thighs before I sleep, and I would awake the next day with SNSD legs! 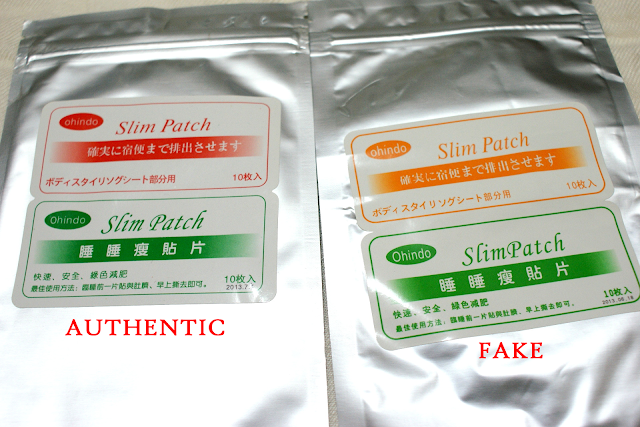 5) Are there any other difference between the authentic and fake pack of slimming patches? If you have anymore questions, just leave a comment below and I will get back to it ASAP. P.S. Follow me on Dayre (my nick is @sophleow) where I am more active and I share more yummy secrets there!! See ya! So, you're probably wondering... "What did this girl do for the past 6 weeks?! Cannot be just go hospital everyday and then go back home right? So #NOLIFE!" 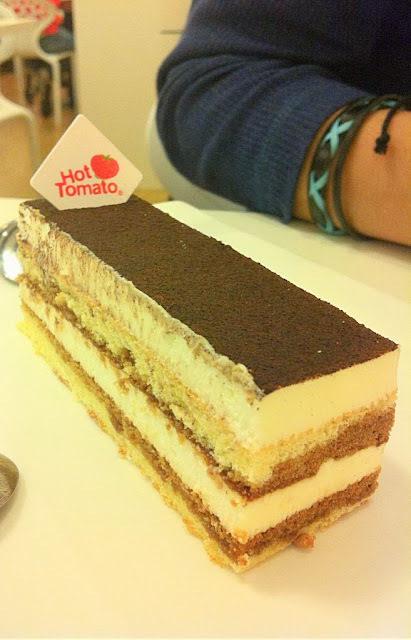 I dined at Hot Tomato @ Causeway Point for dinner during one of the weekdays. It was my belated celebratory dinner for having passed my driving test and for finally managing to acquire my Qualified Driving License. Food was my only form of comfort. This was my order for that night. I wouldn't deny that it is a lot, and I wouldn't deny either that I wasn't the one who finished the food on this plate. 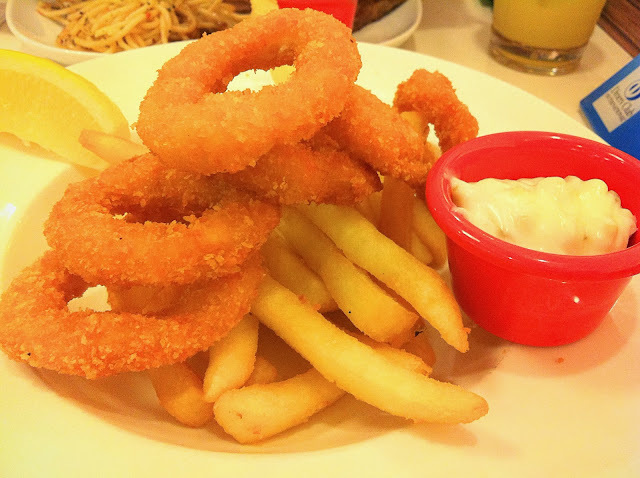 I didn't finish the Calamari & Fries either. 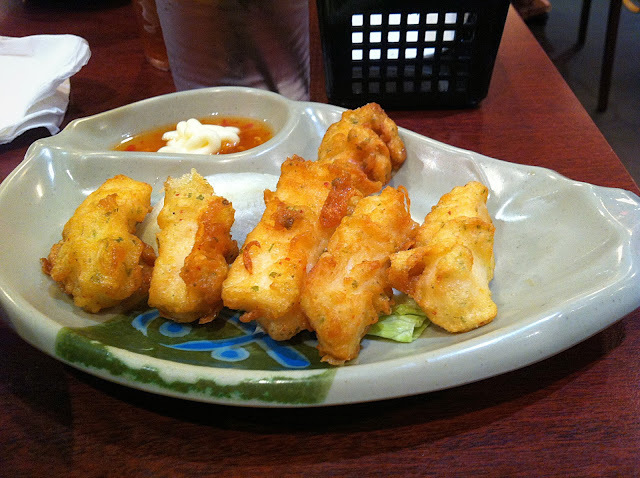 It isn't because that it wasn't good - the food was really good - I just didn't have the appetite to eat. And the tough life was just beginning only. This was on a friday night. I had survived 2 weeks of clinical placement already! 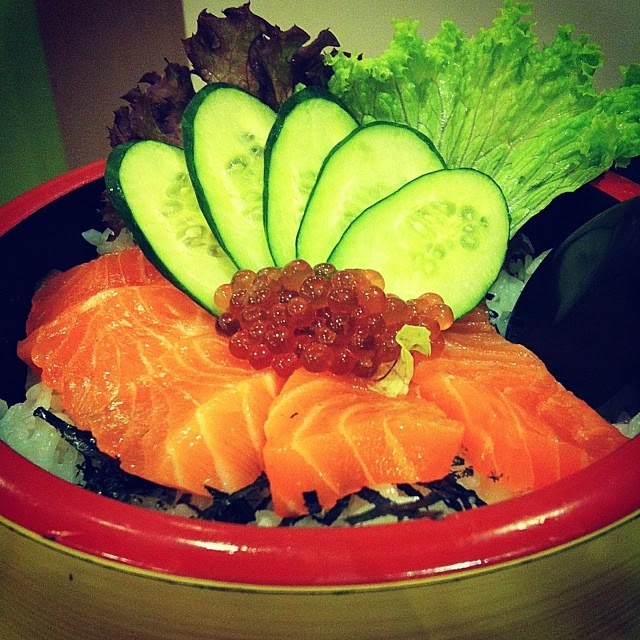 Went to Sakae Sushi @ Square2 for dinner. 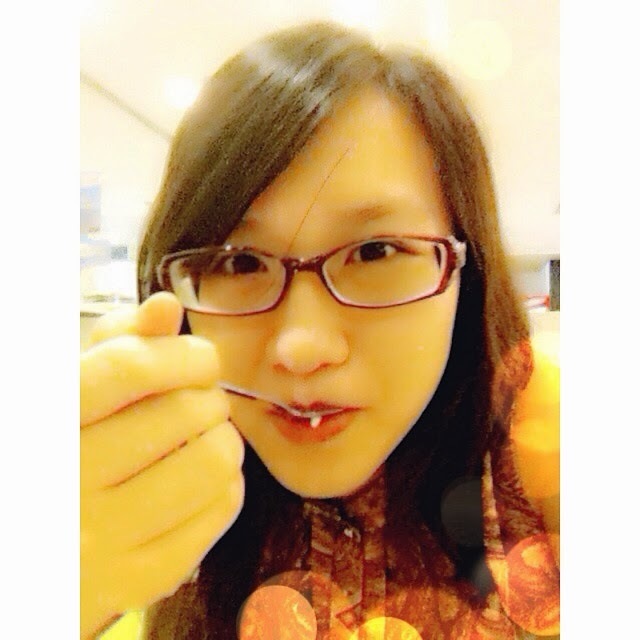 Had my favourite Chawanmushi. Chawanmushi is one of the dishes that I would DEFINITELY order when I go to any Japanese eatery that has this wonderful lightly-steamed egg on its menu! As simple as this dish might be, the best Chawanmushi requires a serious lot of skill! 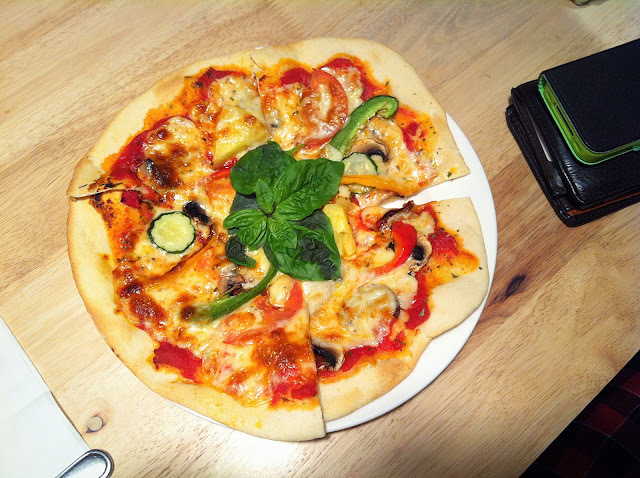 The best that I've ever had (which is also the most expensive one!) is at some Japanese soba restaurant at the basement of Paragon. I hope to one day be able to try the Chawanmushi in Japan! I wonder if there is any difference in the taste? 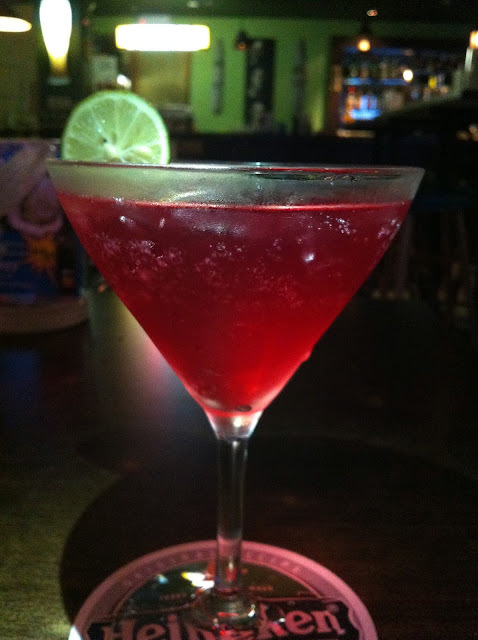 2) It makes me look and feel classy while I'm drinking it! 'Nuff said. Decreed declared: BEST DRINK EVER! Bojangles is one my top few favourite diners (not because they serve strawberry martini) because they serve good food for really reasonable prices! Their serving for one is actually sufficient for 2 pax! If you were to ever go there with ONE friend, just order one main and one side. I made the mistake of ordering 2 mains and almost died trying to finish it. Oddly enough, I've never ordered mudpie before. Like EVER in my life. Up until that day when I took this shot. 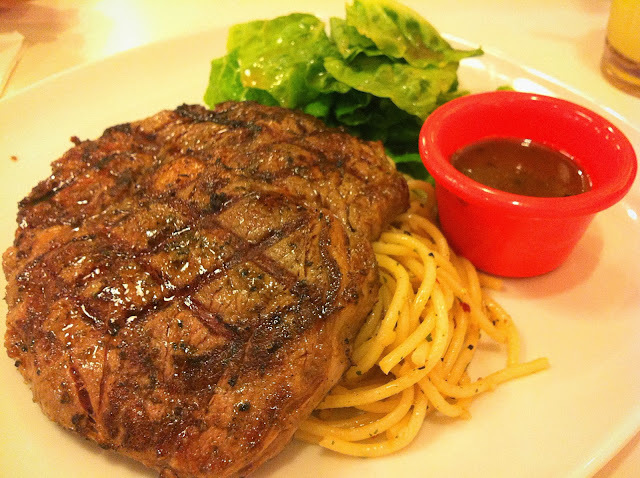 Had dinner at Real Food on a Friday night. If you have never tried organic food before, then you should really go to this place and give your tongue a fantastic treat! I L-O-V-E the food at Real Food. I came upon this place by accident. I was famished after a long day of work and it was a Friday. I was dying to look for a decent place to eat so as to fill my hunger and to celebrate the fact that I survived yet another week. 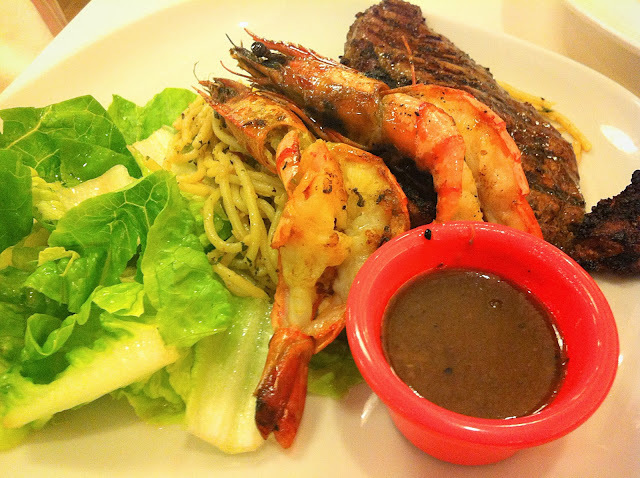 Real Food was one of the best accidental eateries that I've ever chanced upon in my life. It serves vegan food which honestly does NOT taste like vegan food. 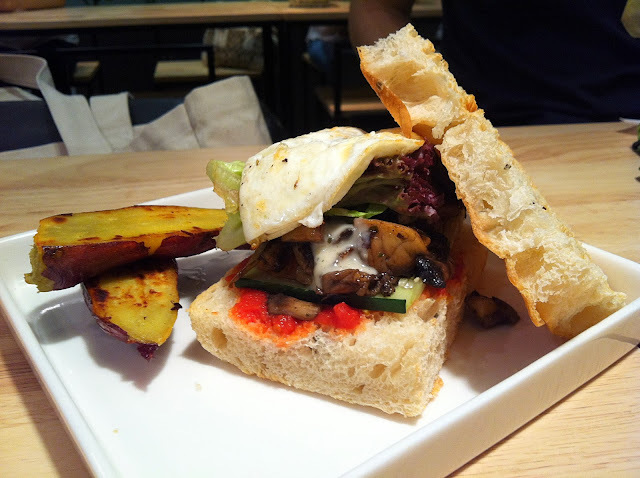 I had Old School Sandwich as my main course and it blew me away completely. I can't describe it. From the crispy skin but soft on-the-inside purple sweet potato, to that mouth-watering, scrumptious, beyond description sandwich which is made out of focaccia bread, mushrooms and some other secret magical ingredient... Trust me, YOU'LL LOVE IT TOO! It is truly truly awesome! 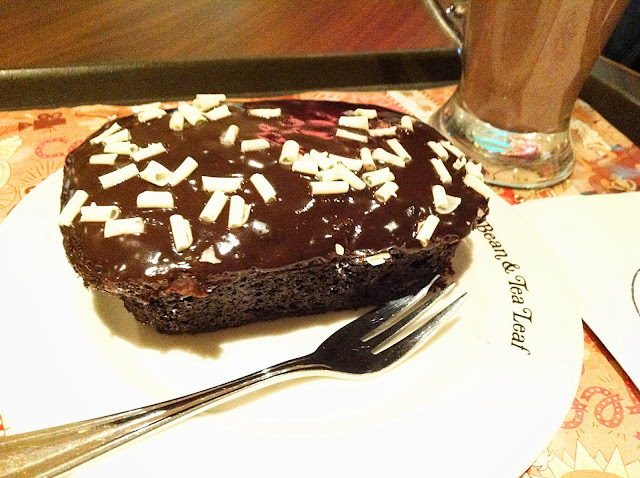 This was recommended by my cousin whom I met there coincidentally. She ate there a couple of times before. 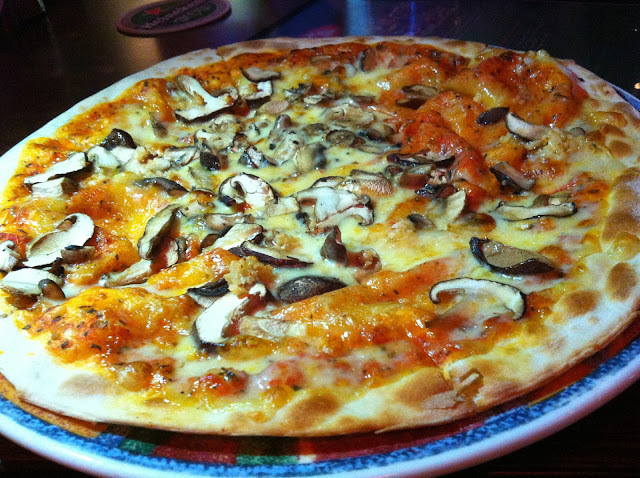 I had this as my appetiser and boy oh boy, mushroom lovers, you are gonna wanna try this. 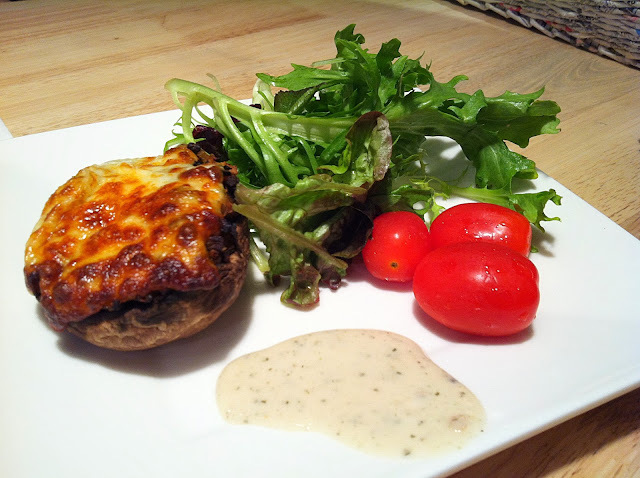 This baked Portobello mushroom is stuffed with BITS of MUSHROOM! Yup! 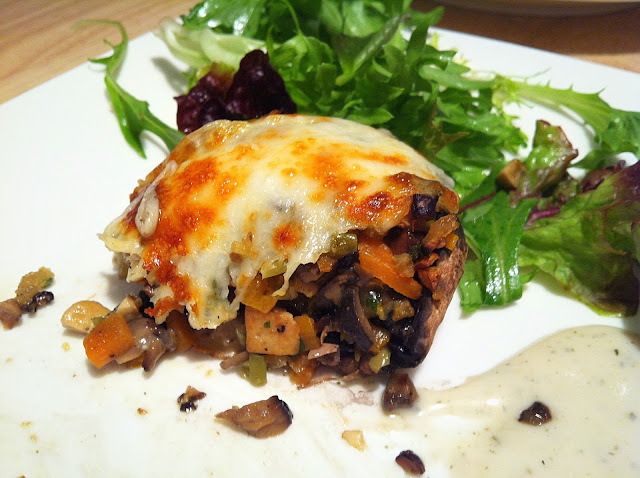 Mushroom stuffed with mushroom! What can be better? This plate of appetiser is rather pricey but you'll try to stretch every mouth of this baked mushroom not because of its price but rather because of its taste. I'm not sure how the chef does it but this dish and the Old School Sandwich has this unique taste to it that hits you at every bite and you can never get sick of it. 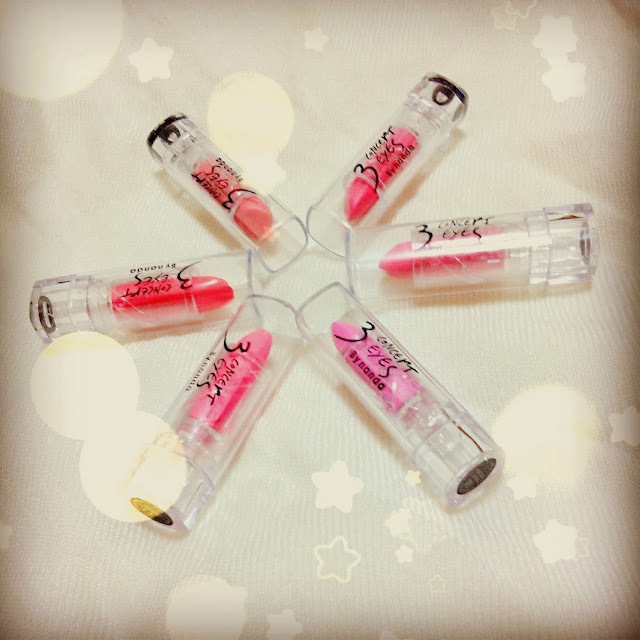 I went a little crazy as well on that same Friday night by buying 6 mini Stylenanda 3CE lipsticks at once. They were selling 3 for $6! Which means 1 for only $2! How can I NOT swop them up?!! My clinical placement was finally coming to an end!!! 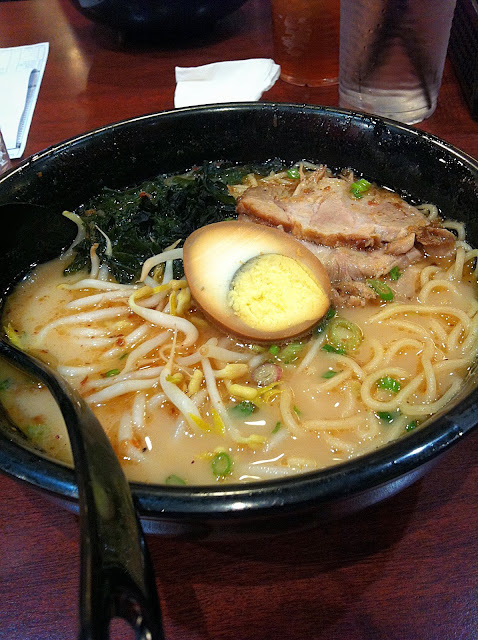 I had a quick dinner at Ajisen Ramen on Thursday night before I went shopping for farewell gifts to the colleagues whom I worked with for the past few weeks!